Planning on selling your home? Before running out and finding a listing agent there are five questions you should be able to answer about listing, marketing, and selling your home. You should be able to give a good answer as to why you're selling your home. Most homeowners know the reason behind this whether it's time to move up, downsize or relocate. But you should also ask yourself why now? Is now a good time to sell or should you wait till the markets a little better? #2. What kind of buyer do I expect? Who will be my ideal buyer? What are most buyers attracted to in this market? If you understand this, you'll understand how to market and stager home to appeal and attract the best buyer. This can also put many decisions in context, for instance, would a major remodel be a good investment or just some cosmetic touches. #3. Do I have the next step? Do you know where you are moving? Do you have a plan in place for selling and moving on? Have you already bought it or do you have plans to buy a particular home? Are you looking to sell first and then by? These are important questions so that you are not out on the streets without a place to live. #4. What do I expect from the sale? How much do you want to gain from the sale of the property? Are you planning on paying off debt? What other factors will make this a successful sale? Is there a particular moving date you had in mind? What happens if you find a home but haven't sold the existing property yet? #5. Who will help you get to where you want to go? Do you have someone in mind that will help you market and sell the property? How will you find that ideal person? Track down a set of real estate skills and experience necessary for your success. This could mean several interviews and asking questions of your own. Get your plan in place before listing. You'll feel more confident in the process and less stressed about the next step. As a certified Realtor® for the top-rated Columbus Realty Firm - Vision Realty, with 32 years of dedicated real estate experience, I can help buyers, sellers, investors, short sale sellers and more find, sell or invest in the right property, at the right price, at the right time. Contact me anytime for updates and information on the Columbus OH Real Estate market. 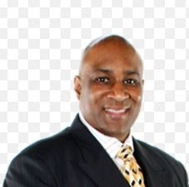 Donald Payne - Vision Realty, Inc.
Do You Provide Data or a Story? What Happens if Your Listing Expires? What Change Does and How to Be Successful at It.